We love her lace top and the details and finishes that make it up. Add some accessories to perfect your outfit and become a pretty bride that no one will forget. 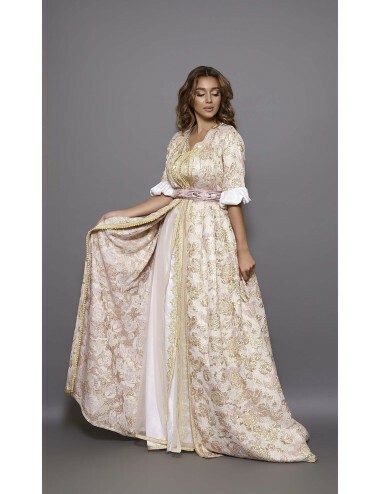 Caftan sleeveless silk satin gold. 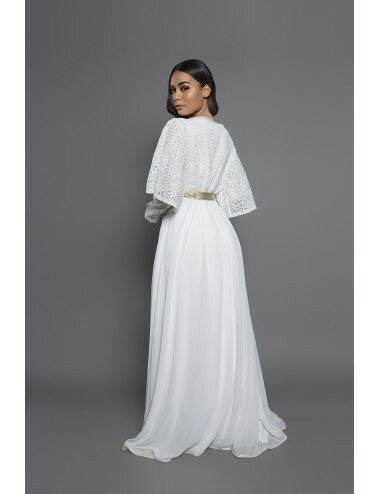 On caftan in lace and muslin. The whole worked with a sfifa gold and ivory. Coordinated belt with adjustable lace and braid.